Very handy location and nice welcome by staff. Although it was shared bathroom there was a separate shower & bathroom which was great. In evening a chippy van stops in village so you could get something to eat as I was unfortunate to stay when the chef was off! Steve and Denise were amazing hosts, food was excellent, room, bedding, bathroom, shower all clean and comfortable. Convenient to Milton Keynes, 7 minutes to stadium. 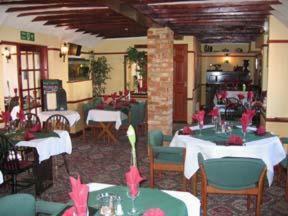 The staff were very good, the food was really good and Drayton Parslow was a very nice place. Great value for single traveler taking train down to London, provided meal afte restaurant closed, felt very safe, lovely breakfast, excellent comfort & value slept really well. Very reasonable value with an excellent breakfast provided. Rooms were adequate with TV. Only reason for down grade was the fact that there was no en-suite. But toilet and shower were located across the hall. My room was comfortable and the en-suite facilities were satisfactory. The bar area was as I expected and the locals were really friendly. The Three Horseshoes This rating is a reflection of how the property compares to the industry standard when it comes to price, facilities and services available. It's based on a self-evaluation by the property. Use this rating to help choose your stay! Ideal for a weekend away in a quaint village, the hotel has easy access to Milton Keynes, Aylesbury, Leighton Buzzard, and even London via highway M1. The only public house and restaurant in Drayton Parslow, The Three Horseshoes offers competitive rates, generous meals, and rooms with oak beamed ceilings. The atmosphere inside the Shoes is always warm and welcoming, especially during the winter months with the open-sided log fire. 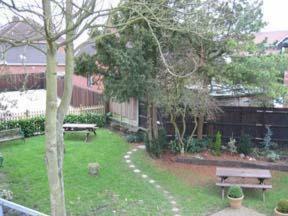 Outside there is a child-friendly, enclosed garden where the whole family can enjoy a summer day. This property also has one of the top-rated locations in Drayton Parslow! Guests are happier about it compared to other properties in the area. This property is also rated for the best value in Drayton Parslow! Guests are getting more for their money when compared to other properties in this city. 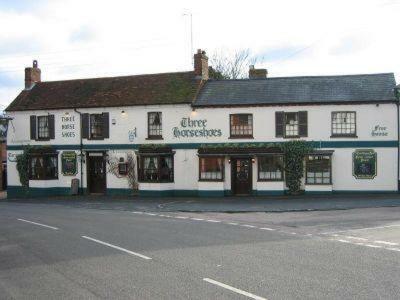 When would you like to stay at The Three Horseshoes? This double room comes with 1 double bed. First floor room with separate access to the lane outside. This single room comes with 1 single bed. This twin room comes with 2 single beds. 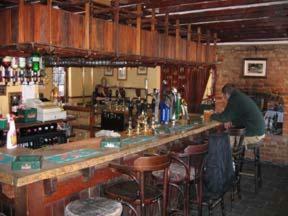 House Rules The Three Horseshoes takes special requests – add in the next step! The Three Horseshoes accepts these cards and reserves the right to temporarily hold an amount prior to arrival. The bedroom was very cramped and one side of the bed was right against the wall. Also the lighting was not brilliant. Just the fact that bathroom and shower were shared facilities. The food was good quality but the choice was very limited when I stayed. Nice friendly locals in every night at the bar too. A little noisy but it’s above a pub so just join in! On the Monday evening there were more items crossed off the menu than there were available. For example, only 1 of 6 starters!!!! The menu did improve during my stay and the food I had was sufficient. No comment in respect of the owners. The whole place is dirty, got woken up at 12 midnight by loud music coming from down stairs (after the bar had closed) the walls were paper thin could hear every noise from neighbouring rooms!!!! The music also woke up the people in the room next door, who decided it would be a good idea to bang as loud as they could on the dividing wall and floor making me feel very uncomfortable. I finally made the decision to leave the property at 4 in the morning no being able to sleep ( the music was still playing!!!!! Expected an en-suite, but was a shared toilet and bathroom between 3 rooms. Dinner choice was limited to 2; lasagne or pie. Room above the bar so a bit too noisy for a business visit.